Traveling with a backpack is easy! But choose the best backpack for travel is a bit more complicated. 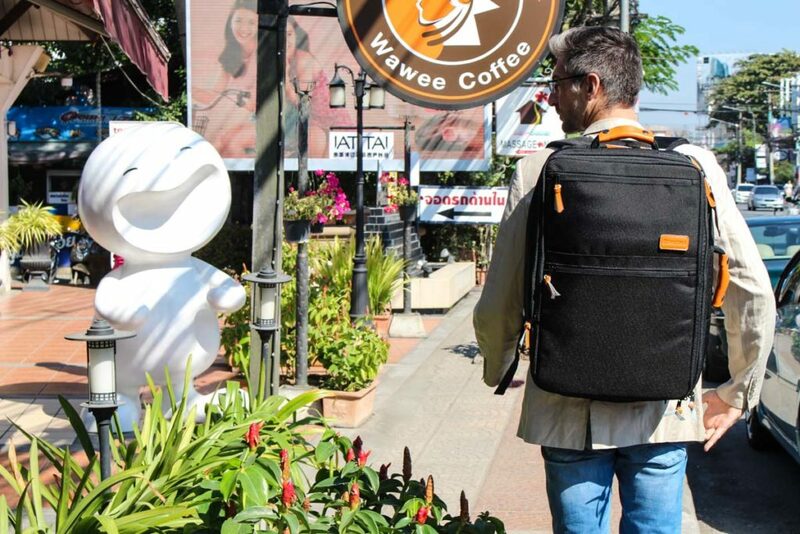 That’s why we asked 15 top travel bloggers which travel backpack they have, why they love it and why it could be the perfect backpack for you. The list of good travel backpacks in the market is big, and to pick the right model and right features are quite hard. So before doing any purchase, read our travel backpack review, I’m sure you gonna find one that is the perfect match for your travel style. Why do you need a good backpack for travelling? 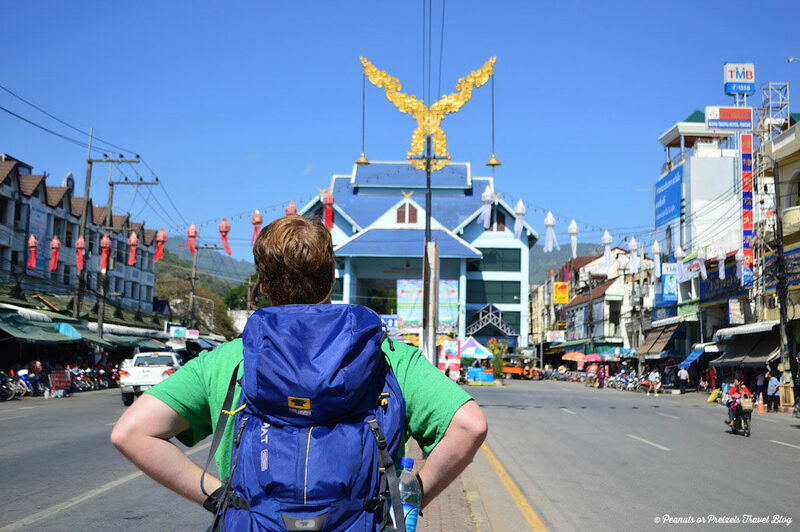 The reasons to buy a travel backpack are endless! They are easy to carry around, with different sizes, shapes and styles. The large travel backpacks work perfectly as a checked-in luggage, for minimalist travellers the carry-on backpacks are the best solution to travel light. And if you are worried that you might not be able to carry the backpack on your shoulders all the time, you can buy a travel backpack with wheels and roll it around when necessary. And if you are into hiking our friend Will Hatton put together a list with the best backpacks for hiking. 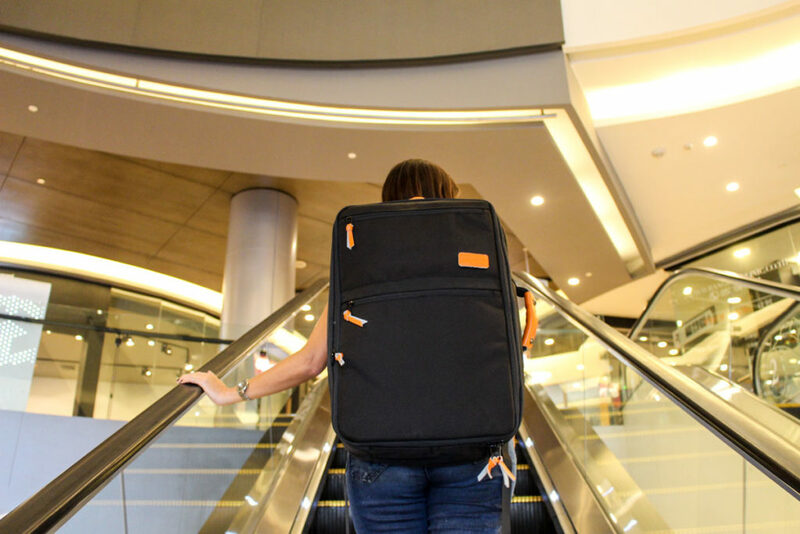 Bottom line, a good backpack can give you the freedom to walk around, have your hands free to snap photos, to do the check-in in airports, and even go to places that a suitcase would be hard to carry. So now let’s go to our travel backpack review! To make your life easy, our list of best travel backpacks is divided by size. There are three groups of best backpacks for travel: the carry-on backpacks, the large backpacks [also called checked -in backpacks], and the convertible ones [travel backpacks with wheels]. To be on the safe side and to not have any problem when boarding on your next trip, we used as reference the measures of Ryanair carry-on luggage, known for being one of the most strict airlines in Europe. For them a carry-on travel backpack must be 55cm x 40cm x 20cm and weigh 10 kg. For those who want to travel light here is a list of the best carry-on backpack for travel, from adventure models to urban and stylish travel bags. Since February we changed our way of packing and travelling. We ditched our large backpacks and started travelling only with a carry-on size bag. We both have a Standard Luggage and love them. It’s spacious, easy to carry around, has an urban style and fit everything we need for our nomadic life. We wrote a blog post about our bag transition and why we choose the Standard Luggage as our favorite travel backpack. If you are not sure of how much stuff you can pack in a carry-on backpack watch our packing video and learn how we choose our clothes and pack wisely. Want a carry-on travel backpack with an urban style? Check all the details of this backpack, the price and how you can buy a Mountain Hardwear Enterprise 33. Here you find more info about the Tortuga 44 liters carry-on backpack. Interested in packing cubes? Check out this selection of packing cubes! If Kelty Women’s Redwing 40-Liter Backpack looks like the best travel backpack for you, check here the price and how you can buy it. Check all the details of North Face Surge II travel backpack, price and how you can buy this carry-on backpack for travel. For Columbia travel backpack fans, check here the different models, sizes and prices. If minimalist travel isn’t your thing, the next seven travel backpack reviews are for you! Great recommendations to buy a travel backpack that is good, comfortable to carry around and can be used as a checked in luggage. Find out what Gemma carries on hers large travel backpack. Check her travel packing list for females, it’s awesome, especially if you go on a long-term trip. And here you can buy your Vango Freedom 80 litre Backpack. Looking for the best backpack for travel that is strong and super comfy? Check Mountainsmith Lariat 65L details, price and how you can have it too. If Natasha and Cameron convinced you that Osprey Farpoint 55L is the best travel backpack don’t waste time, order it now and happy travels! The Osprey Ariel 65 and Deuter ACT Lite 60+10 are top travel backpacks for women, or a should say, perfect for wanderlust girls. Good for organizing your clothes and makeup, but strong enough for backpacking trips and outdoors adventure. Click on the name of the backpacks to find out all the details of the bags, why there are specific for women and the advantages of travelling with them. In doubt between the Caribee Mallorca 70L or 80L? Check the size differences and choose the best travel backpack for you! Interested? Check the price of the Deuter ACT Trail Pro 40 now! You can buy your convertible travel backpack here! Choose the backpack that suits your travel style without giving up the wheels. Love it?! Pint it for Later!! Have you chosen the best backpack for travel? Hope our travel backpack review helped you to find the style, the size and brand that suits your travel plans. Backpacks are awesome for a weekend holiday or a trip around the world, you only need to buy the right one. A good travel backpack is an investment, so choose the best one and have fun exploring the world. This is such a good, comprehensive list of backpacks and well-timed, too, as I’m in the market for a new one. Sadly, with three children, my days of packing lights are over (not that I was very good at travelling with hand luggage only to start with!) but I’ll definitely investigate these larger backpack options more. Thanks! I bet it’s hard to pack and travel light with kids, a large and strong backpack is a must. Have a look on the convertible ones, they seem to be very sturdy and spacious. Very techincial blog this and great tips on finding the right backpack. I got my one sorted (for now) but in a few years time, the hassle of finding a new one will commence. That’s so true, I remember when we started looking for our backpack and spent endless days searching online, going to the shops and dreaming about the bags… Hope this list can help travelers to choose wisely their future backpacks. There are so many options of carry-on backpacks, and I can tell you that some of them are on this list. It all depends on your style of traveling. I personally love the urban style ones. The convertible backpacks are great indeed. Rob and I have been thinking to invest in more photography gear so we might need an bigger backpack and if we decided to by a new one, we probable gonna invest on one with wheels! my favorite backpack of them all is Josh from Peanuts or Pretzels: Mountainsmith Lariat 65L, It looks well organizable and can pack a lot in. This is quite a nice list of backpacks, and there are so many different ones to choose from depending on the kind of traveling you may be doing! Josh’s backpack is great, as he said comfy and strong, everything you need from a travel backpack! I’m not a backpacker per say, but I do travel light. I have a standard Tumi backpack and a non wheeled duffel bag. Allows me to keep my electronics secure on my back, and clothing/toiletries in a bag to sling over the shoulder or carry. The duffel is small enough to carry on, but sturdy enough to check. I like that combo. That’s a great thing about te new backpacks and travel bags, there are options for all type of traveller, with a comfy fit and sturdy enough for all adventures. Wow ! This list is such a big help and bang on. Of course, the same brands are not available in India, but the types of backpacks are there and now I will be able to make a better decision before choosing my backpack. We have the same issues with our readers from Brasil, they can’t get these backpacks there either, but they feel inspired and sure about what model to choose now. I never traveled with a backbag or use any but just borrowed one from my sister for my last trip. I though it would be handier if I am in the mountains and I forgot to use it quite often and took my noral bad. They are pretty though and I should get one myself. Has been almost 3 years I’m travelling with a backpack and never looked back. Acctually I’m learn to pack less over the years. 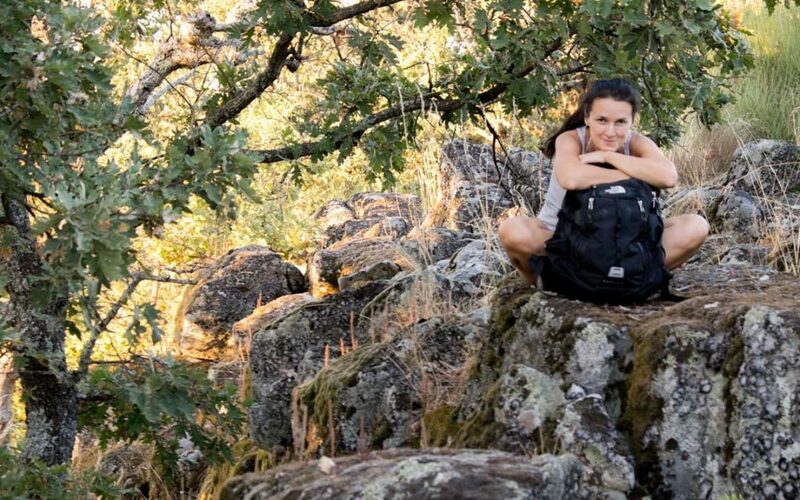 Give it a try, travel with a backpack is a good way to become more minimalist! This is a great selection of backpacks. I personally use an Osprey Aura 65 which I like a lot. Lot’s of room and pockets to stash stuff. Great selection of bags though, perfect selection for future purchases. Thanks for sharing. Very nice post with different points of view! In my experiencie Osprey Atmos 65 AG is simply the best for male backpackers. For women I think the Osprey Aura 65 AG is one of the best choices, very adaptable to the female body. Nice content on your blog, cheers! Thanks for your recommendations Nelson, Osprey seems to be the favorite brand among travel bloggers! The separate pockets for laptops/tablets are definitely a must have! Great list! If only I could count the number of hours we’ve spent looking at backpacks over the years! We travel full time with carry-on only so it’s important to get as much as possible into a small space! As are many, I’m a big fan of Osprey and have been travelling with a Farpoint 40 for the past few years. It’s a great option for a carry-on, and one which deserves to be on your list! Great list and you have explained the tips very comprehensively. Thanks for sharing! I would like to recommend you please add the name of some online stores which are offering discounts and free shipping on the eve of new year and valentines for the ease of customers. Check out the backpacks we listed on the post, some of them have different colours, maybe you can find a pink one. From the top of my head I can’t remember any specific brand that sells pink backpacks. What is the name backpack on the last photo Natalie? that’s the Standart Backpack, the same Rob is using on the 1st photo of the post. Hi, i will be travelling through Europe for a month for the first time. And is Osprey Aura 65 able to bring up to the cabin especially with Ryanair? I’m trying to avoid paying extra for check-in baggage. Any advise? Great tips and review here. Look Likes all backpack are good. and have enough capacity and nice looking. Great round-up! I just went through the backpack shopping process and ended up ordering FIVE different travel packs to try at home, as my local stores didn’t have many choices with a front panel opening. I picked the Thule Versant 60L women’s, which I didn’t expect! I’ve got the full details over on my blog if you’re interested. That’s the best thing, you must try them on to make sure it is comfortable! Awesome tips! I’ve learned so much from your post, Robson!